For information on erasing textured lines—see See How to erase textured lines. 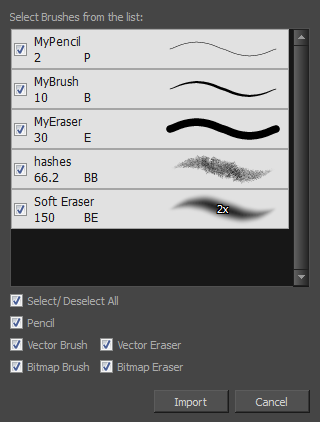 For information on Bitmap Eraser tool options—see See Bitmap Eraser Options. It is a good idea to create and save erasers with precise sizes and parameters in order to save time when drawing and designing. Toon Boom Harmony provides you with a variety of default eraser styles and allows you to create and save your own. 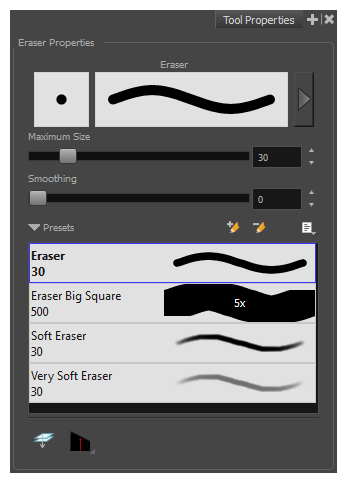 Eraser presets are created by saving the properties of the current eraser as a preset, in order to reuse it again and again. You can create a new preset from the Eraser Tool Properties view, but it is better to do it from the Eraser Properties—see Erasing Parts of a Drawing. 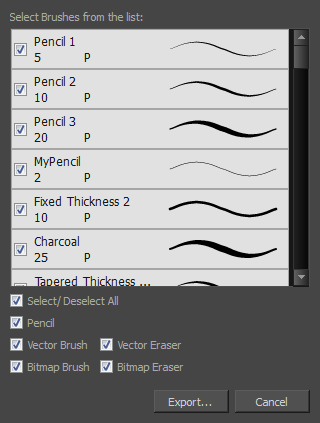 The Eraser tool uses its own preset list, separated from the Brush tool.